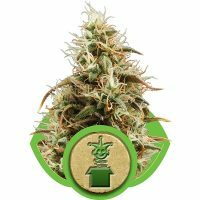 Royal Queen Seeds Euphoria female Seeds produce a Medium sized cannabis plant with a Low (5-10%) THC content, Photoperiod genetics and a flowering time of 8 weeks. Euphoria female Seeds has a genetic makeup of Royal Medic x Shark Shock and can produce yields of 450-500 gr/m2. 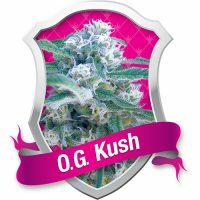 Buy Royal Queen Seeds Euphoria female Seeds at the lowest price online now! 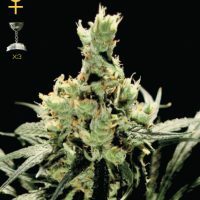 Euphoria is a superior blend of selective heredity between the popular cannabis strains of Royal Medic and Shark Shock. 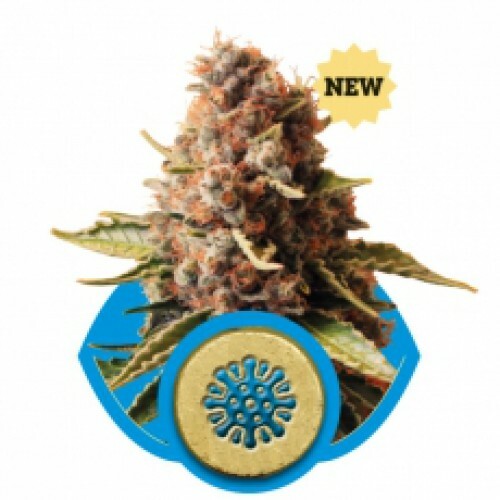 Royal Medic is a strain of cannabis that owes the majority of its genetics to the Juanita la Lagrimosa and is recognized as one of the high CBD strains and those genetics have been passed on to Euphoria. 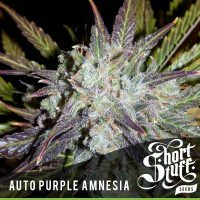 I»¿ »¿Shark Shock is a strain that has been a flourishing champion of the High Times Cannabis Cup since the late 1990s and it is a tremendously hardy grower.»¿ You will find those qualities are ever present in the Euphoria strain. CBD is an abbreviation for cannabidiol, which is often great for combating medical conditions such as Crohn’s Disease and Multiple Sclerosis. Those who suffer from medical conditions that induce pain and discomfort, often turn to strains of cannabis that are known to be higher in CBD. Euphoria inherited this high CBD and contains more CBD than it does THC but, the percentages are pretty close at 7% and 6% respectively. 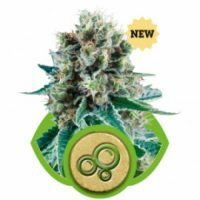 Euphoria’s genetic background thoroughly infuses this strain of Euphoria with a sweet and particularly fruity scent that continues on into the taste for quite a pleasant aroma. 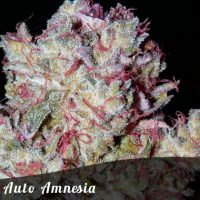 Being that it is 20 percent Sativa and 80 percent Indica, there is more of a euphoric mood that does not encourage sleepiness but is great for pain and nervous tension relief. This makes for great medical remedy. It is a short to average size plant reaching heights outdoors of 100 to 140 cm. With indoor heights established at 60 to 100 cm, due to the high percentage of Indica which are in general, shorter and stockier plants. The yield produced by this plant is quite nice from the Indica structure. 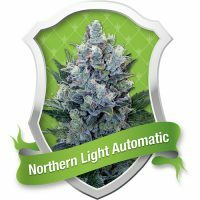 You will time and again find indoor and outdoor yields of 400 to as much as 450 grams, per dried plant with no more than an 8 week flowering period! Not bad for medical marijuana where you might find competitor strains requiring as much as 10 weeks to flower! Euphoria is certainly one of the CBD strains. These are known to produce anti-anxiety and even anti-inflammatory reactions to those who use it. This is without having to endure a heavy couched or locked down feeling that is associated with some competitor strains. Anytime levels of CBD are found to be over 4%, this is considered to be a high amount. Euphoria, contains 7% CBD.